What you did on this Lunar New Year? I went to Pasir Ris to spend my dazs , away from the bustling city life in Sing-ka- Po. 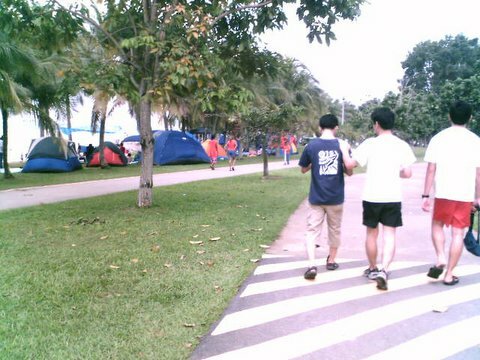 In the Pasir Ris Park (left photo), can you see a lot of tents along the banks? Most of them are non-Chinese fishing in the high tide @ nite. I believe we are the only group of Chinese spending time in nice cozy kampong setting.